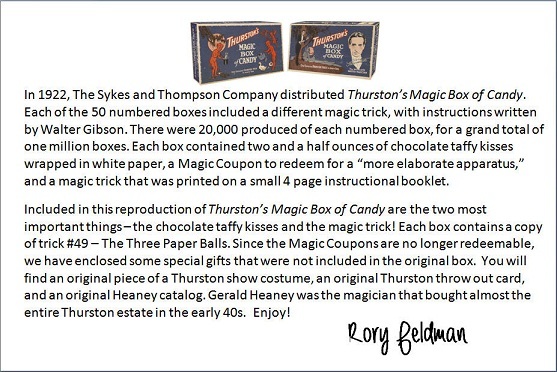 As you will read below, Thurston's Magic Box of Candy was first sold in 1922. In 1922 there were a million boxes made and today there is only 1 known in existence. 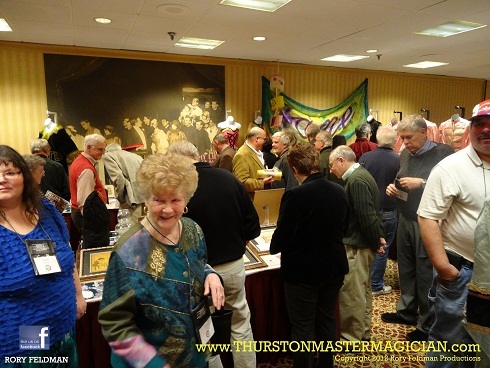 We made reproductions of the original candy box for the 2012 Yankee Gathering convention in Massachusetts. 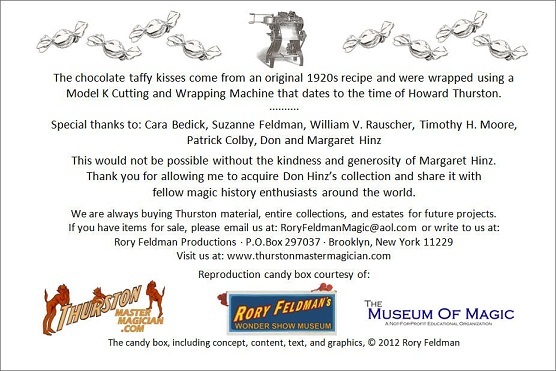 The reproduction candy boxes were such a hit! "greatest exhibit they have even seen!" You can view 91 photos from the exhibit by clicking on the link below. It is a facebook link, but you do not have to be a member of facebook to view the images. 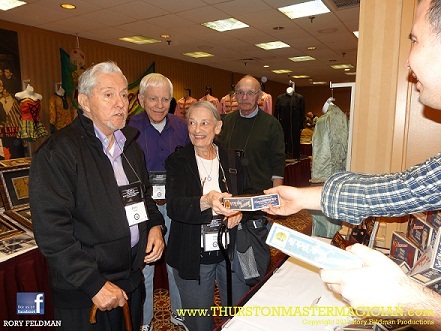 We have been asked by so many people that did not attend the convention "how can I get a candy box?" We aren't really selling a box of candy, but more of a novelty -- an instant collectible -- an instant Thurston collection.